WARNING: DO NOT BELIEVE THE STORY YOU'RE ABOUT TO HEAR. Well, you can believe some of it. There is some real history. But also hijinks. Time travel. And famous figures setting off on adventures that definitely never happened - till now. Time is getting twisted, and it's up to two kids to straighten things out. Abraham Lincoln may have returned to history books, but other historical figures saw what he did - and now they know they can escape from their times, too. 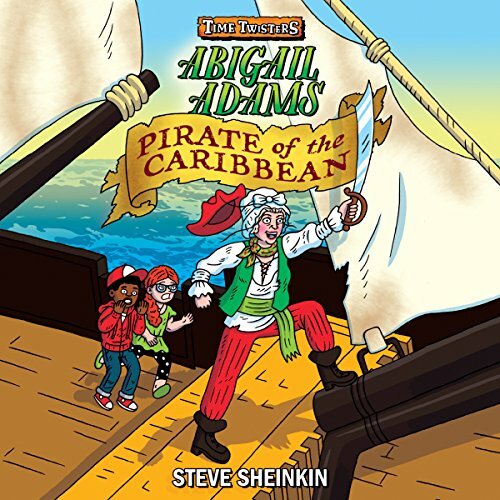 When Abigail Adams decides there's more to life than doing chores in the White House, she joins a crew of Caribbean pirates! Can siblings Abby and Doc set history straight? Or will they be the ones who need to be rescued?